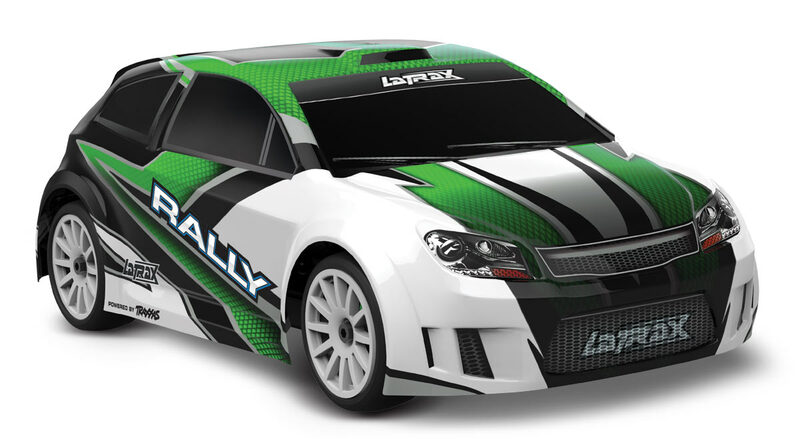 The LaTrax Radio Controlled 1/18 Rally incorporates precision and performance into a compact and incredibly affordable model that goes with you anywhere and is ready for fun in an instant. The LaTrax Rally is fully assembled and Ready-to-Race®, with everything you need included in the package. The powerful motor, all-wheel drive, and fully independent suspension immediately transform the world beneath your feet into a racetrack. Offices, malls, sidewalks, and playgrounds are the site for your next racing challenge. Long run times and the dependable 2.4GHz radio system extend your playtime. The LaTrax Rally is built to last, protected by world-class Traxxas. The LaTrax 1/18 Rally comes fully assembled with a 2.4GHz radio system, painted and decaled body, pre-glued tires, and easy instructions. 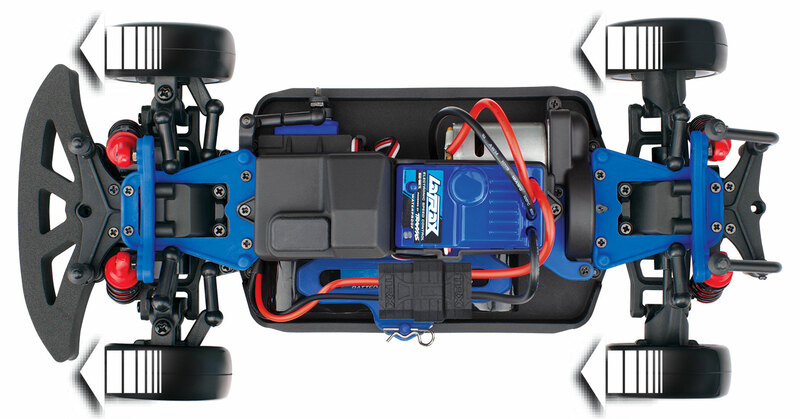 A LaTrax 6V rechargeable NiMH battery pack, wall outlet charger, and 4 Traxxas Power Cell AA alkaline batteries are also included. Everything you need for fun is in the box. 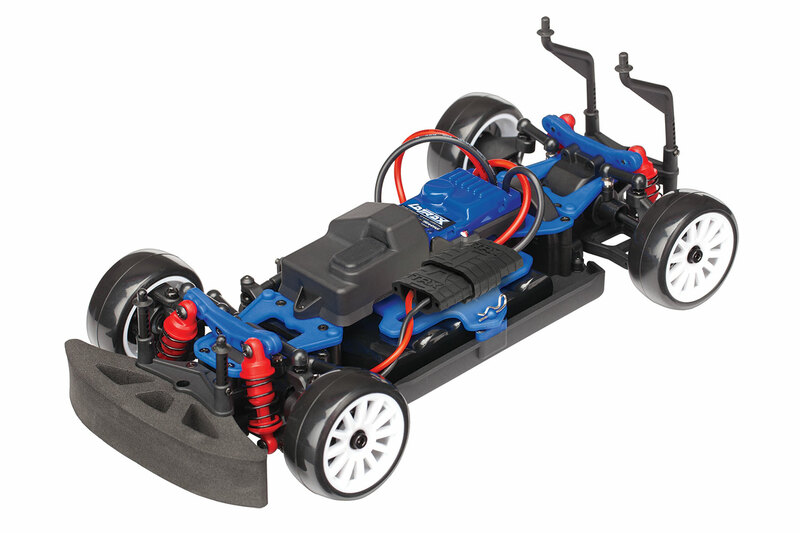 Best of all, LaTrax is backed with proven, world-class customer support from Traxxas. Fast and friendly answers to all your questions are just a phone call or an email away. Unmatched parts availability allows your LaTrax vehicle to be serviced with parts and support from thousands of hobby dealers worldwide or Traxxas directly. The LaTrax Rally is powered by Traxxas so your investment is also protected by the LaTrax Lifetime Electronics Warranty. With LaTrax, you can count on Traxxas Support to go above and beyond to ensure that your RC experience is easy and fun.